When you arrive home, how do you get in the main door? For most homeowners, you climb the stairs leading up to the front entrance. Even if you go in through the garage or back door, most likely there are some stairs to maneuver. For some people, this works out just fine. But for those with mobility issues, stairs create a frustrating and even dangerous challenge. Now, seniors and those with physical disabilities across the country are taking back their independence and securing their safety with vertical platform lifts. Here are three reasons why these vehicle lifts could be perfect for you. Anyone looking into purchasing vertical platform lifts in Louisiana will be understandably curious, and in most cases concerned, with the price. A fancy machine like this must cost a lot, right? Actually, there are many affordable options out there, making these lifts available to those who need them most. Some companies even offer attractive payment plans or different possibilities like renting or buying. Investing in a vertical platform lift is a lot more budget-friendly than moving to an entirely new place without steps. Some people are hesitant about moving forward with plans for vertical lifts because they worry about the time and money involved. You can rest assured that this is actually a relatively pain-free process that doesn't take up near as much time as you may think. You don't need weeks to install these lifts, just a few days with a professional crew will get the job done. All vertical lifts, whether they are fitted for residential or commercial properties, or indoor or outdoor use, can be installed and ready for action within several days. The help of a friendly and fast team will make this a smooth transition process. Last but not least, perhaps one of the biggest reasons why you should consider vertical wheelchair lifts is that they are actually really easy and user-friendly. These mechanisms are designed for safe and secure use, so those with mobility issues can feel comfortable and at ease at all times. 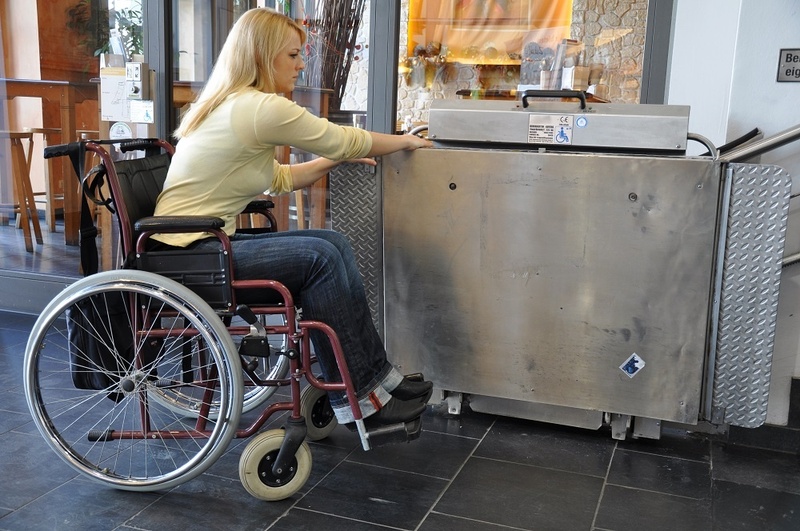 You won't need to get out of your wheelchair or scooter to get into the lift, which can come in a variety of sizes and styles. There's also the added bonus that vertical lifts are essentially maintenance free. You can start living the life you want and regain your ability to enter and leave your home as you please. Vertical lifts make it all possible, without leaving your wheelchair or scooter.